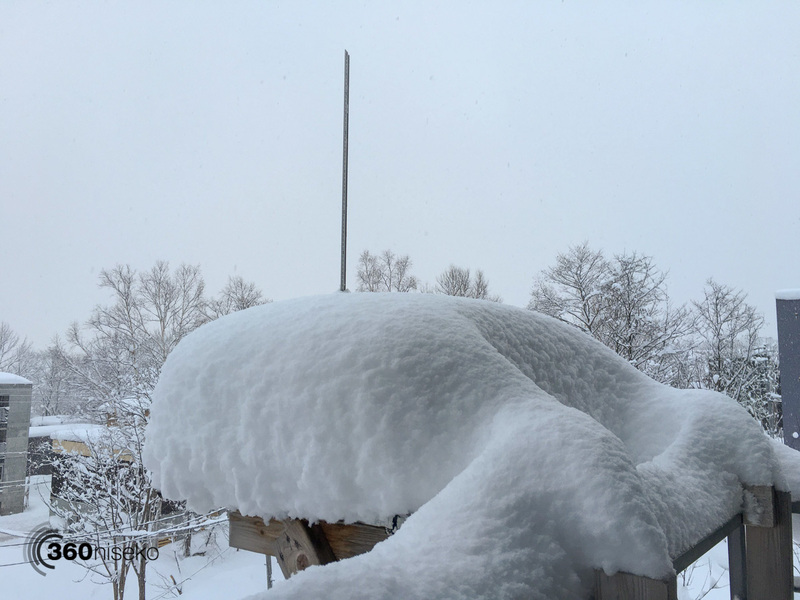 *40cm of fresh snow has fallen in the last 24hrs in Hirafu Village. At 7:00 today the temperature was -5°C. 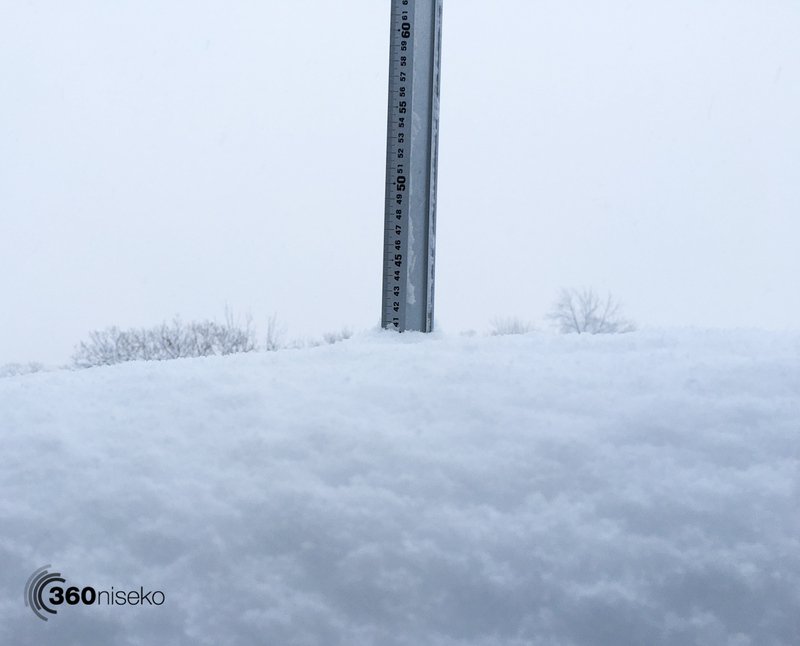 Incredible snowfall over the last 24 hours averaging just under 2cm of accumulation every hour!!! 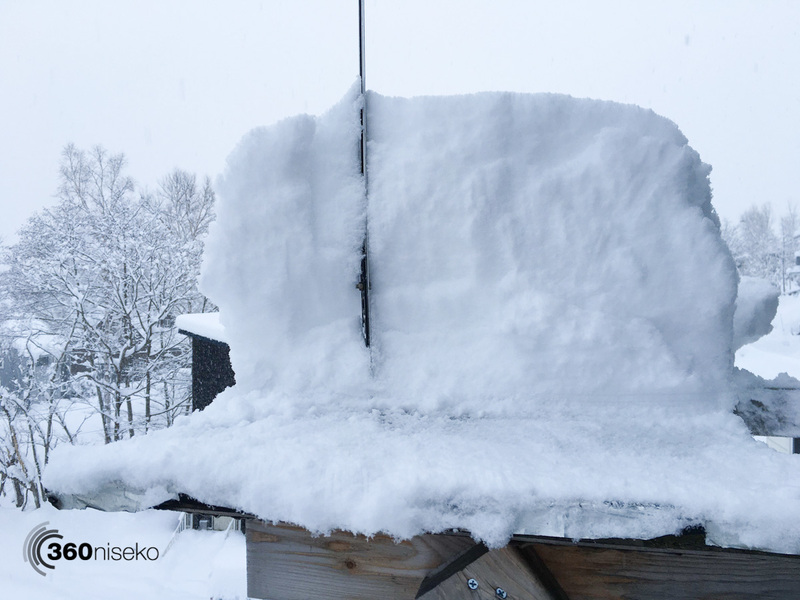 The biggest dump of the season and it is still snowing. For anyone who hasn’t experience super deep snow some unsolicited advice: Snowboarders, stay in a track unless you are on a steep face beware of fresh tracks leading into flat sections. Skiers, tips up and beware of falling head first into snow as you may become stuck upside down. Skiers and boarders: Don’t ride off course alone and look out for you fellow skiers and boarders on the mountain. Today is going to be SPECIAL!